Marlin Electric LLC provides marine wiring for your boating and dock needs. With over 15 years of experience, our electricians at Marlin Electric are well equipped and licensed to get the job done. Our professionals will provide high-quality services such as designs and lighting wiring to enhance your boats appeal. We are based out of Norwalk but proudly serve the Greater Fairfield County area Bridgeport, Darien, Easton, Fairfield, Greenwich, New Canaan, Norwalk, Redding, Ridgefield, Shelton, Stamford, Stratford, Trumbull, Weston, Westport, and Wilton. You can count on us for all of your electrical problems. Keep your boat safe and powered up by getting your marina or dock rewired by our fast, efficient and qualified team. We are ready and equipped to handle personal and commercial wiring. If you are unsure about the stability of your current wiring, call us today and we will determine if repairs on already existing wires need to be replaced. Electrical dock wiring enhances the safety, usefulness and comfort of your dock. In addition, it’s a great way to protect your boat by outlining it with a defined boundary. Adding electrical dock wiring also enhances your boating experience, adding a fun place to relax or gather with friends and family. Our trained personnel will be able to go over and give you an estimate of the dock wiring that best meets your name. 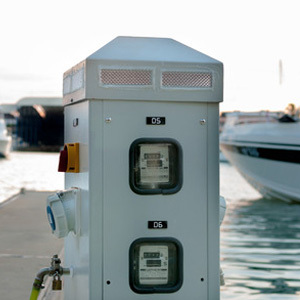 While there are many benefits to dock wiring like an enhanced aesthetic appeal, fun way to show off your boat, better operating efficiency and improved energy savings, there are many aspects to consider as stated above. That’s why Marlin Electric is here to make sure the installation process goes smooth and everything operates at its optimal capacity. 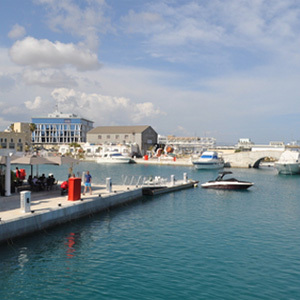 Marlin Electric will provide you with professional marina services for your boat and dock. Our licensed personnel and friendly staff are here to help you with any questions or concerns you have about your marina electric needs. Dependable, experienced service is here for you when you choose Marlin Electric LLC. Let the experts take care of your boating and docking needs. Call today at 203-515-7414. We are open Monday – Friday: 9:00 AM – 7:00 PM to conveniently answer any questions, concerns or book an estimate! Have your boating and dock lighting installed professionally. Call us today.